There is a hope that this decision will be in the interests of all parties. 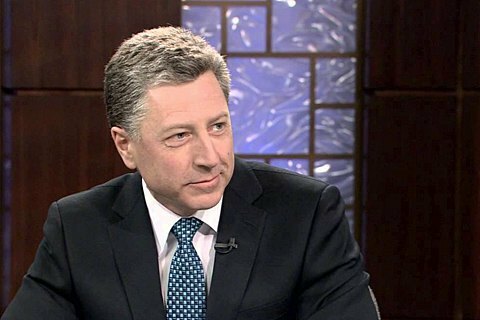 Special Representative of the US State Department on Ukraine Kurt Volker said that Russian President Volodymyr Putin has not yet made a final decision on what he wants to do in Donbas so there is a chance that this decision will be in the interests of all parties. In an interview with Gorshenin Institute shown at the VIII National Expert Forum in Kyiv, Volker stressed that its Vladimir Putin who personally takes the decisions. "I think that President Putin has not yet decided on what he wants to do here. We can reach an agreement that will benefit all: Ukraine, Russia and the West," he said. According to him, the matter concerns the withdrawal of foreign troops from Donbas, its return to the sovereignty of Ukraine, and the political steps envisaged by the Minsk agreements. "That's what we are hoping for," said Valker.